Here's a super easy magic trick that's really an optical illusion. 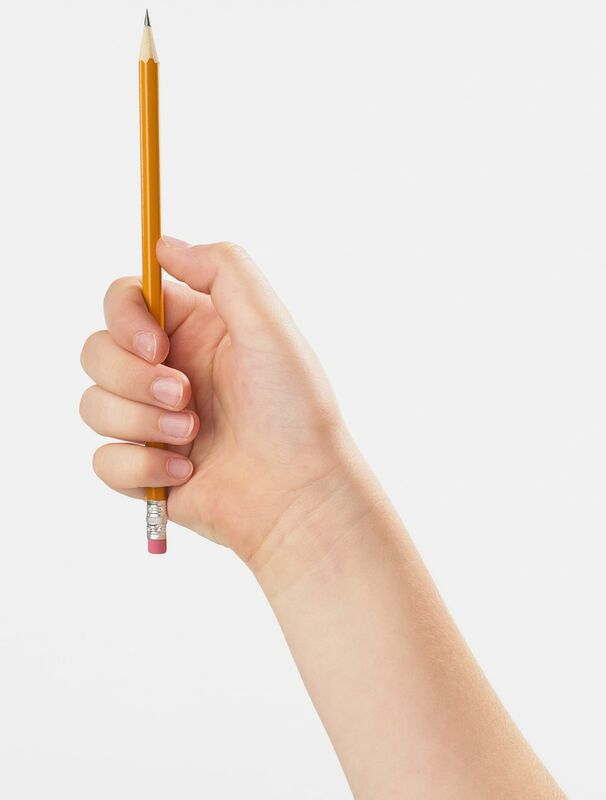 In this effect, you wave a normal pencil and it appears to bend, just as if it were made of rubber. It's all in how you hold the pencil and move your hand. Hold the pencil as in the picture. Apply a very loose grip using your thumb and first finger. You'll want to allow the free end of the pencil to bounce around when you are performing the trick. This is the secret to the trick―actually it's an optical illusion that fools the human eye. Refer to the arrows on the screen and move your hand up and down in a vertical motion. Meanwhile, the loose grip on the end of the pencil allows the other end of the pencil to bounce around. 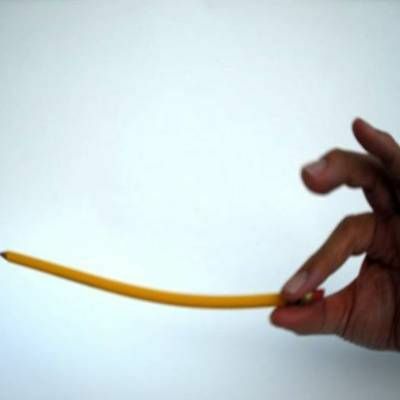 The combined movements of your hand and pencil will make it appear as if the pencil is bending. You don't have to move real fast. As a start, try moving your hand up and down twice in about a second. Experiment and speed up and slow down until you have the right speed. Remember that the key to the trick is holding the pencil with a very loose grip so it can bounce around. This is a very well known easy magic trick that an average person could very well know and understand. For this reason, it's best to perform this one in the context of routine to quickly show the effect and move onto something else. Some possibilities for accompanying tricks include "The Magnetic Pencil Version One" and "The Magnetic Pencil Version Two". In both these tricks, a normal pencil appears to stick to your hand almost as if your hand is magnetic. As mentioned in the instructions for these other tricks, this "Rubber Pencil" optical illusion can also be used to draw attention away from either trick so spectators move on and are less likely to figure out the secret. While the tricks require more setup, you can follow this trick with a levitating trick, either "The Levitating Pencil" and "The Levitating Ring". As the titles imply, in "The Levitating Pencil," a pencil that's placed into a bottle and it appears to levitate up. And in "The Levitating Ring," a finger ring, which can be borrowed, is placed onto a pencil and it mysteriously floats up. Keep in mind that you don't have to do these tricks with a pencil. If you have one, you can use a magic wand. It's rare that magicians perform tricks that are based on pure optical illusions. Perhaps the area of magic that most relies on optical tricks is that of "magic" boxes. A good example of this is "The Magic Tube," which has been altered to change the perspective of the tube to be able to create a secret compartment and hide things inside to produce later. The tube can be shown "empty" and then items are brought out of it.